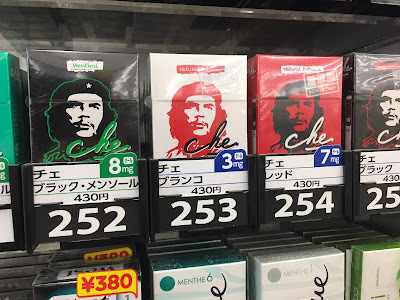 Marketing Japan: Che Guevarra Cigarettes!? Anti-establishment young people all over the world have Che’s posters at home and on their T-shirts. It seems that so many don't really have a clue as to what this guy was all about. They have no idea he was one of the most violently illiberal establishment figures in the history of South America. Why do people worship this guy? Che Guevarra is popular because of cool art ala Andy Warhol style. Many years ago in Roppongi, there was a silhouette poster of actor Rudolph Valentino on the wall of a building. I am a Valentino fan so I knew who the man in the poster was; I asked many Japanese people if they knew who that man was in that poster; none of them knew. And, today, I suspect that 97% of the people who like this Che Guevarra image in Japan (and around the world) haven't a clue as to what he did or what he stood for. 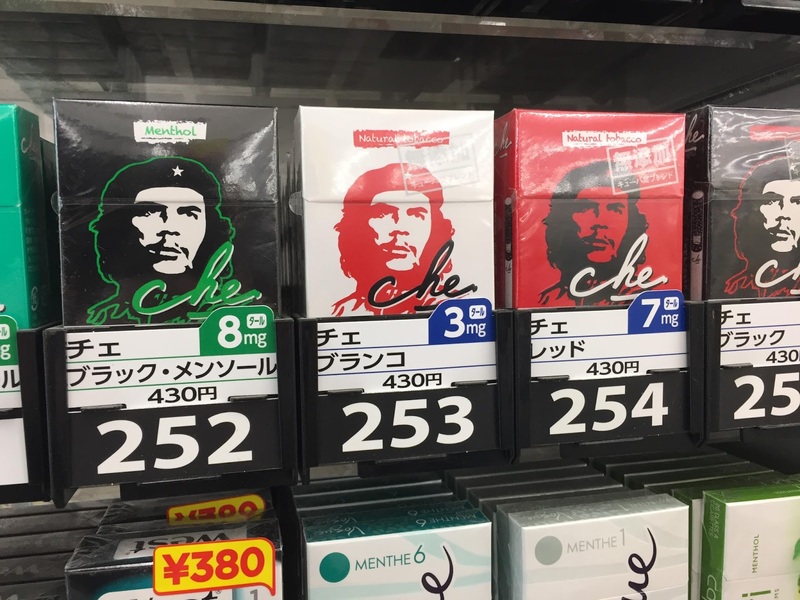 Now, in Japan, they are selling Che Guevarra cigarettes. I saw these at the store and just had to have a "Face palm moment." 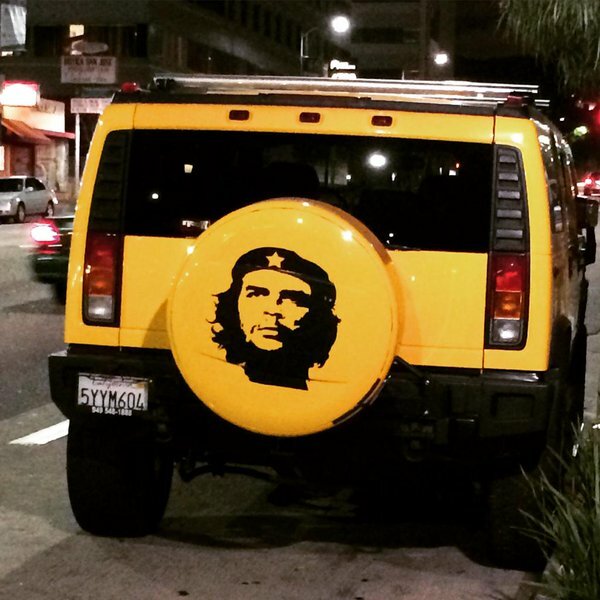 Or, even better show that you really don't understand what's going on and are historically illiterate by buying a quarter million dollar Humvee and having Che Guevarra's face on your truck displaying your true Socialist tendencies. Earlier today I wrote to my friend and I said, "You know, we are surrounded by a society at large that is 95% made up of crazy people. You realise that, don’t you?" He responded, "More like 97%"
NOTES: My friend Thomas P. (Tom) Logan writes, "Hmmm...what's next? Augusto Pinochet cigars? Pol Pot breath mints? Nick Ceausescu chewing gum?" Thanks, Tom.... "Ceausescu chewing gum" has a nice ring to it!!!! New Manga: The Obesity Virus Discovered in Japan! I Was a Teenage Collector's Item!